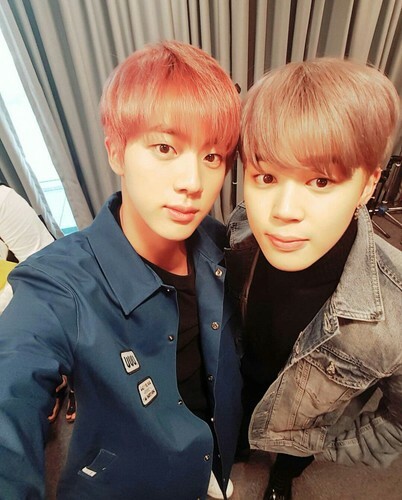 jin and park jimin 12. . HD Wallpaper and background images in the Jimin (BTS) club tagged: photo. Is this a joke? That's Jin.